Seeds are super cool! Plant one and not only do you get a plant but if you let it go to seed you can get thousands of seeds in return! That’s an amazing investment. Observing and saving seeds shows us that nature is generous and abundant. 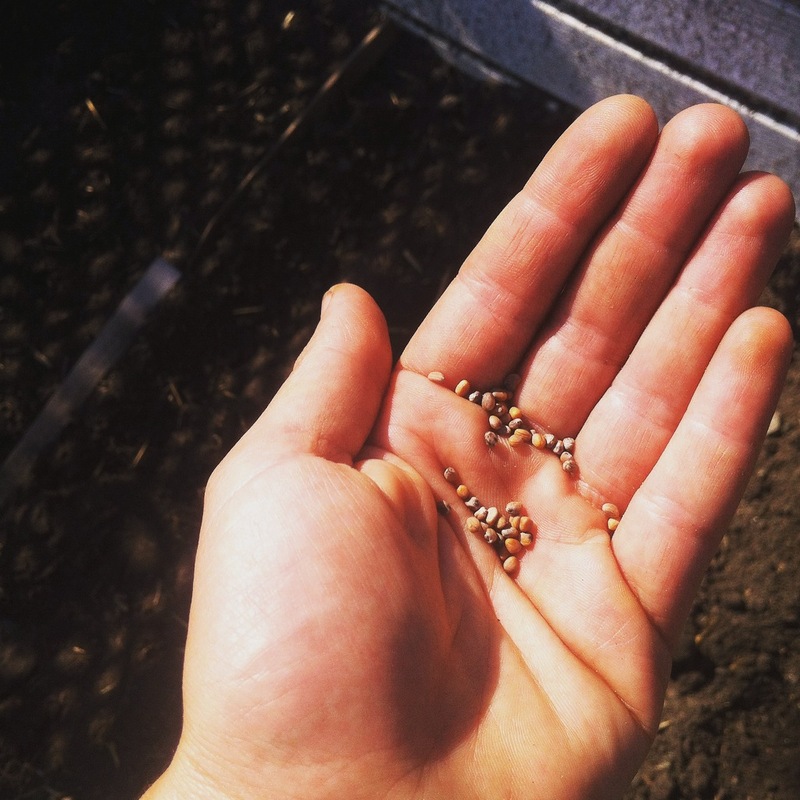 Seed saving was once an integral part of farming and gardening. Nowadays we can save our own or get our seeds from seed libraries, small, ethical companies or giants corporations such as Monsanto (boo). Shoresh saves our own seeds from our multiple gardens spaces and purchase from Urban Harvest and William Dam. We’ve even started a seed bank in our office at the Wolfond Centre because we want to be more self-reliant and resiliant. From March until May we start our seeds in the greenhouse at the Reena Community Residence located on the Lebovic Jewish Community Campus in Vaughan. Together with participants in the Pathways and Channels Program, we plant tomatoes, herbs, peppers, greens, eggplants, squashes, cucumbers and leeks that start their lives at Reena and eventually make their way to the Kavanah Garden down the street, Maxie’s Garden in Kensington Market and at Reena’s container garden at the Wolfond Centre.